Vitamin C, retinol, hyaluronic acid, and a million other words are creating a buzz in the cosmetic industry these days. If you are looking for ingredients that help you fight aging, chances are you already know about vitamin C and how important it is for your skin. It protects your skin from the damage caused by UVA and UVB rays, hyperpigmentation, and sunburn. This wonder ingredient does a lot more than what we think our skin needs. 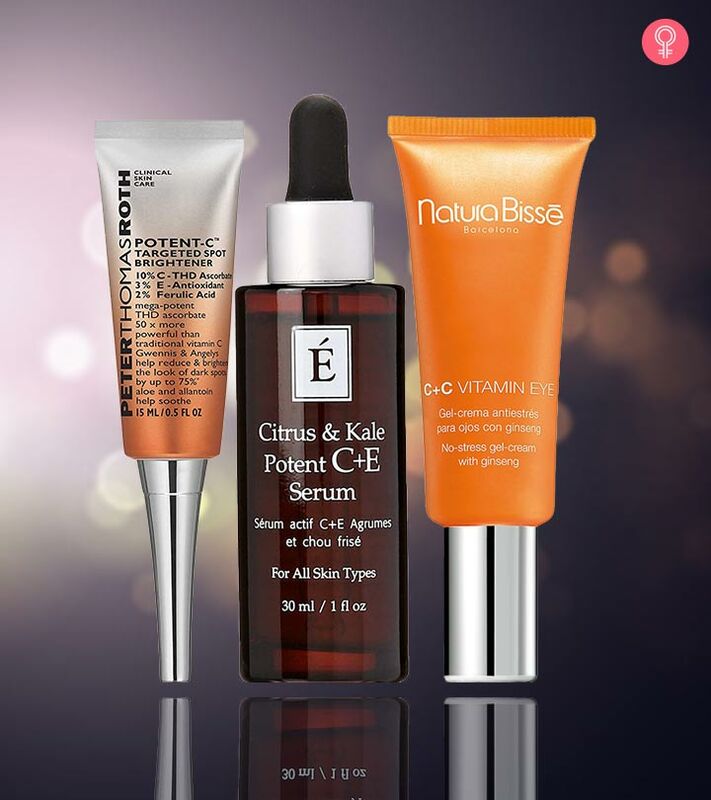 If you are still wondering why you need to use a vitamin C serum or are confused about where to begin, start by reading this article. You have come to the right place. Read on to find out more. 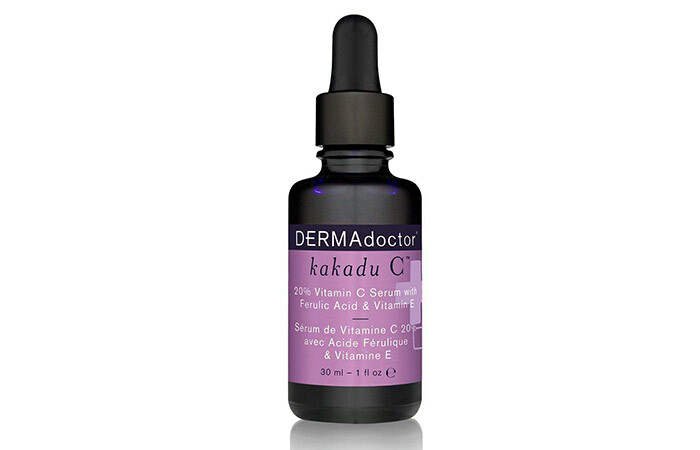 Dermatologists, bloggers, and beauty enthusiasts around the world are raving about vitamin C. Why? It reduces fine lines, battles signs of aging, boosts collagen production, and protects you from free radicals. Vitamin C is a potent antioxidant that soothes your skin and provides relief from skin burning caused by inflammation. It does all of this through just topical application. Naturally, the most significant confusion lies in choosing a product based on its price and efficacy. But we cannot always take a product at its face value. Some factors can help you compare products before making a decision. Here’s what you need to know. First, look at the ingredients. Try to choose products that are not harsh and filled with too many chemicals. See if the product contains other ingredients that that complement vitamin C – like vitamins A and E, ascorbic acid, hyaluronic acid, ferulic acid, and other plant-based nutrients. Consider the potency of the serum. It should be at least 20-25% potent for it to show results. The pH level of the product is another important factor you need to consider while buying a serum. The serum should be slightly acidic to penetrate into your skin easily. The typical range is anywhere between 2 to 3.5, but you can even go up to 5 or 6 depending on your skin type. Your skin type plays a big role in choosing a serum. People with oily skin should choose a serum that contains L-ascorbic acid. Dry skin needs something with sodium and magnesium ascorbyl phosphate because they protect your skin from irritation, inflammation, and redness. Choose a serum that is colorless and odorless (unless it is naturally scented). Colored serums contain additives that bring down the effectiveness of the product. Be wary of cheap products as well as expensive ones that are not necessarily of good quality. 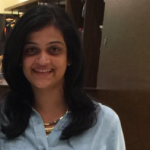 Try and test out a few products before you finalize something that is tailor-made for you. 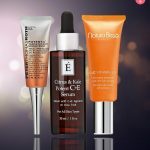 Now, that you know all the things you need to keep in mind when shopping for a vitamin C serum, let’s check out the best ones available on the market right now. SkinCeuticals C E Ferulic tops every chart when it comes to vitamin C serums. It is potent and gives visible results. It is suitable for all skin types, seeps into your skin quickly, and is the perfect anti-aging solution. 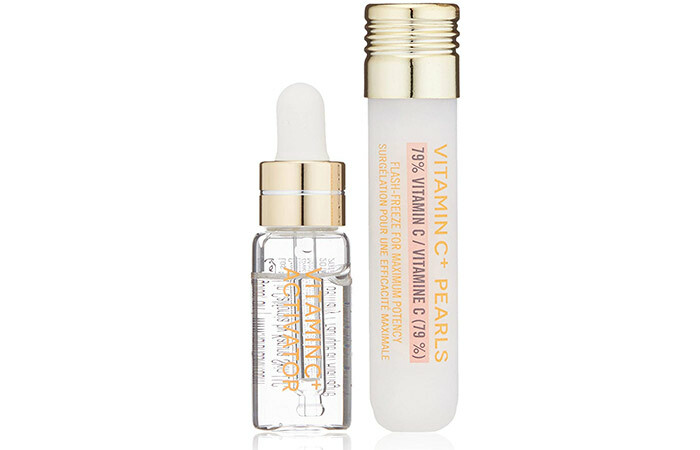 It is a blend of pure vitamin C (L-ascorbic acid) and ferulic acid that protect you from sun damage, repair wrinkles caused by photodamage, and reduce fine lines. 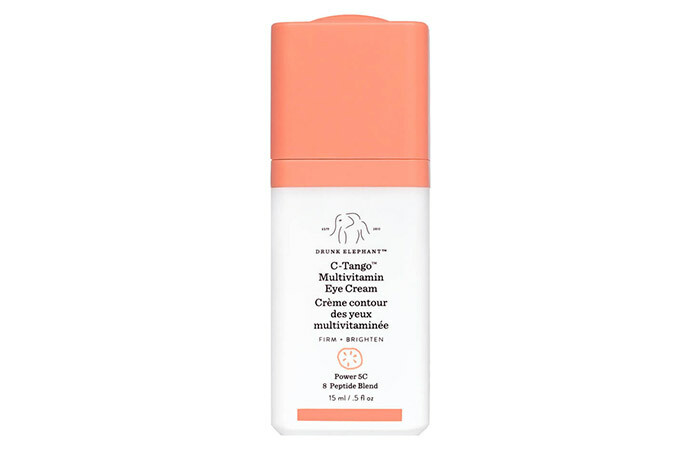 The Drunk Elephant C-Tango Eye Cream is yet another big name in the vitamin C segment. It is a rich and potent mix of vitamin C, antioxidants, ceramides, plant-based oils, and actives that soothe your skin while reducing the signs of aging like wrinkles and skin sagging. It is perfect for both day and night time use. It is established by now that the signs of aging appear vividly on your skin. Your skin loses its elasticity over time, which results in fine lines and wrinkles. Here’s yet another dermatologist-certified product that contains vitamin C (L-ascorbic acid) that penetrates deep into your skin and shows results in a short time. Obagi is a world leader in making skin care products, so it knows what it takes to create an effective product. You need to watch out for knock-off versions. It is a blend of potent ingredients that not only combats signs of aging but also fortifies your skin. 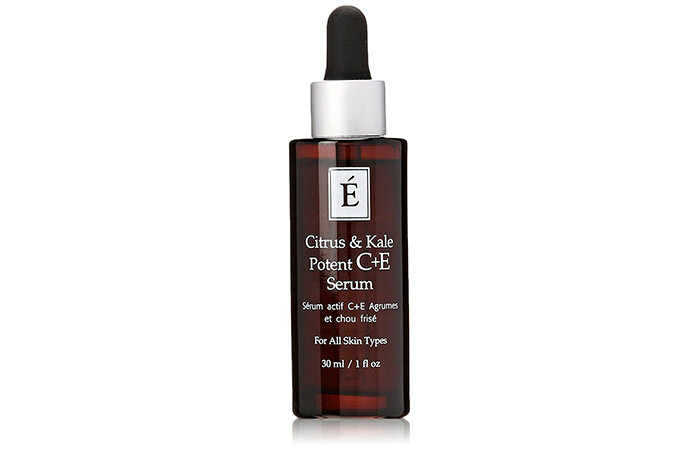 The serum is a combination of superfoods like citrus fruits, kale, spinach, and broccoli. It also contains ferulic acid, L-ascorbic acid, vitamin E, and hyaluronic acid that penetrate into your skin and show visible results. It stimulates collagen and elastin production, thereby improving the overall health of your skin. 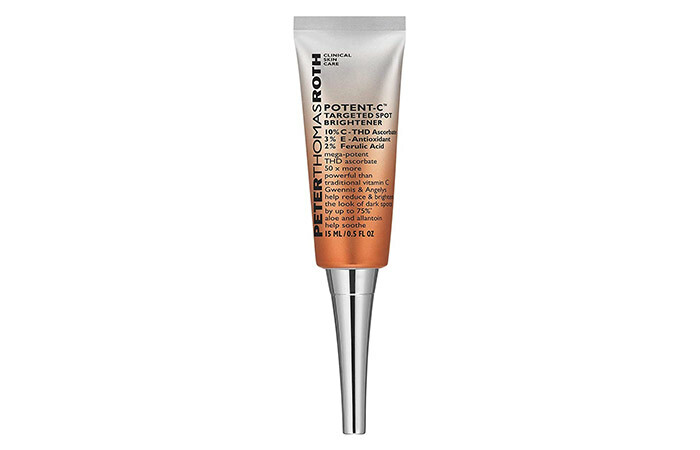 Give your skin the attention it deserves with this vitamin C serum. It is enriched with Kakadu plums that have approximately 55 times more vitamin C than Florida oranges. Not only does it repair the damage caused by free radicals, but it also brightens and smoothens your skin. 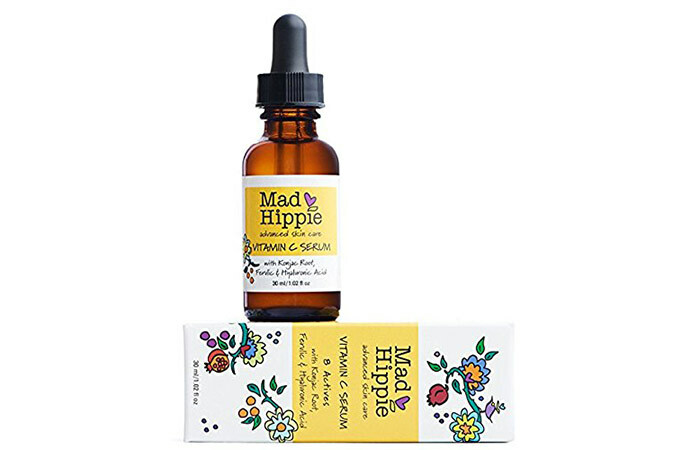 Mad Hippie combines vitamin C, ferulic acid, vitamin E, and hyaluronic acid with exotic ingredients, which is what puts it in the front of its line. Its other unique components are Konjac root powder, which is rich in nutrients like zinc, copper, iron, magnesium, and folic acid; grapefruit extract, which is a rich source of vitamin C; chamomile extract that creates a protective shield while calming your skin; and sage that is a natural astringent. Not effective on all skin types. 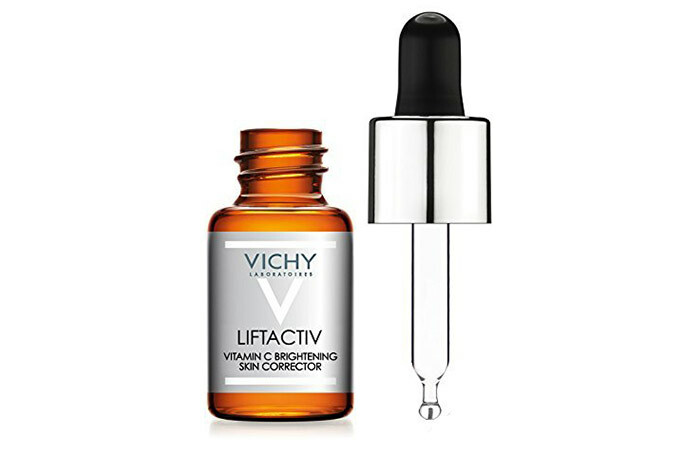 This Vichy serum is a healthy mix of vitamin C, vitamin E, and hyaluronic acid that improves the overall texture of your skin in no time. It evens out your skin and makes it look visibly radiant in no time. It gives your great results without burning a hole in your pocket. Karuna uses one-of-its-kind flash-freeze technology that seeps out the moisture from the ingredients and freezes the active elements in their dry state (at the peak of their potency) to yield optimum results. 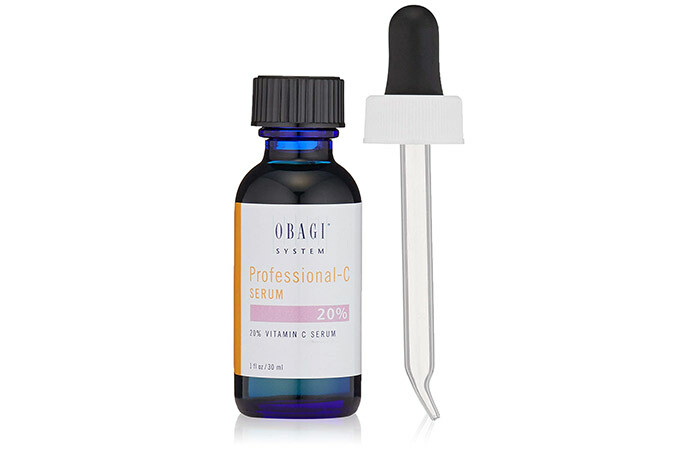 The serum has a 79% concentration of vitamin C that comes out when combined with the serum activator. It works well on all skin types, brightens skin, and makes it look youthful instantly. Here’s a serum that unleashes onto your skin 50 times stronger than your average creams. It combines the strength of antioxidants and THD ascorbate with our miracle ingredient, vitamin C. It also contains vitamin E, ferulic acid, Gwennis (algae extract that reduces dark spots by 75%), and aloe that soothe your skin. 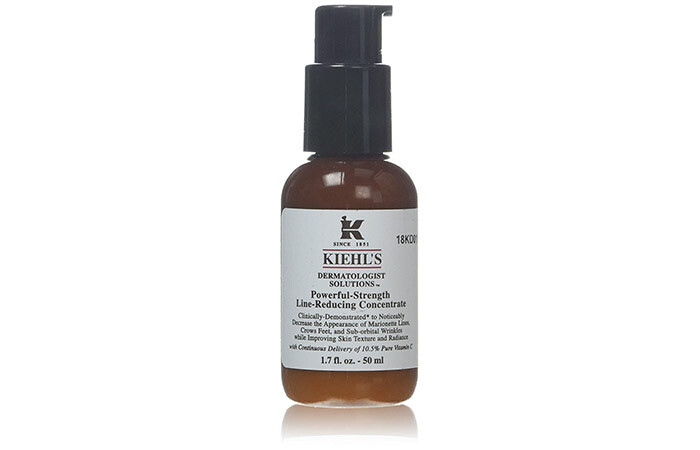 Kiehl’s Line Reducing Concentrate is formulated to suit all skin types, even the most sensitive ones. It is infused with vitamin C, hyaluronic acid, and ascorbyl glucoside that work effectively in improving the overall health of your skin. They make your skin firm, fill up the fine lines, and make your skin soft. You need to shake it before use. 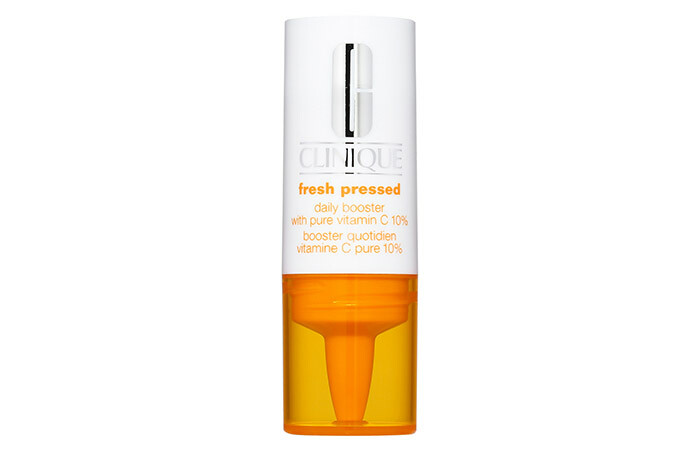 Clinique has come out with a unique formula that works as an anti-aging agent by harnessing the power of pure and fresh vitamin C that evenly tones and retexturizes your skin. Think of it as the equivalent of a glass of fresh orange juice that has been condensed into a tube. Kick-start your anti-aging routine by mixing two drops of this serum into your moisturizer. 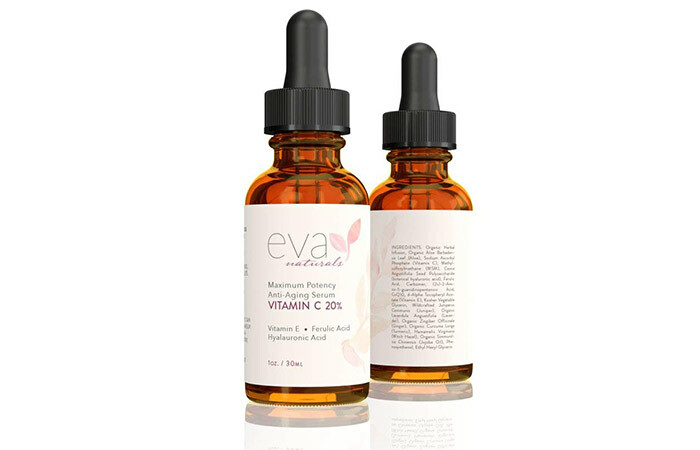 Eva Naturals Vitamin C serum is affordable, effective, and uses all natural ingredients to battle dark spots and other common skin concerns. It boosts collagen production. The vitamin C in it is combined with elements like CoQ10 that works on firming your skin and lavender that reduces the appearance of wrinkles and fine lines. Turmeric, ginger, and juniper extracts promote circulation, skin brightening, and radiance, while vitamin E, hyaluronic acid, and ferulic acid take care of anti-aging issues. 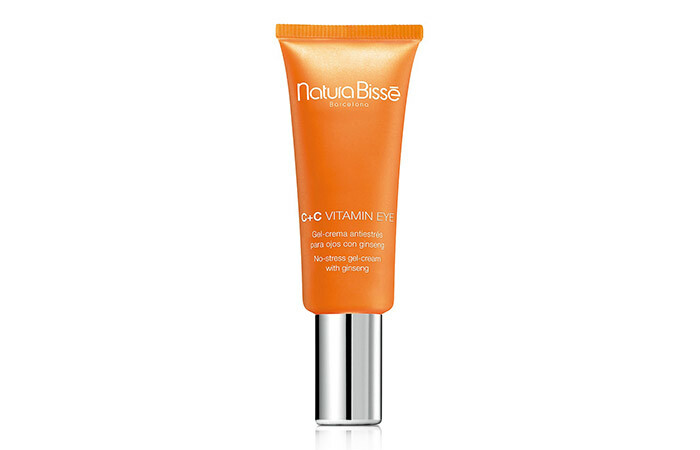 NaturaBisse C+C Vitamin Eye contains three versions of Vitamin C. The first is in its purest form, the second is cyclodextrin that spaces out the release of vitamin C throughout the day, and the third is Vita C Assimil, which is known to assimilate vitamin C and ascorbic acid. They work together to reduce fine lines, prevent the formation of new wrinkles, and improve the elasticity of your skin. Korres Wild Rose Serum is a powerful combination of 15% vitamin C, ascorbic acid, and sand lily extract that work on skin brightening while reducing the appearance of dark spots, acne scars, and pigmentation. Not to forget the wild rose oil that leaves you with luminous and radiant skin. Sunday Riley C.E.O. 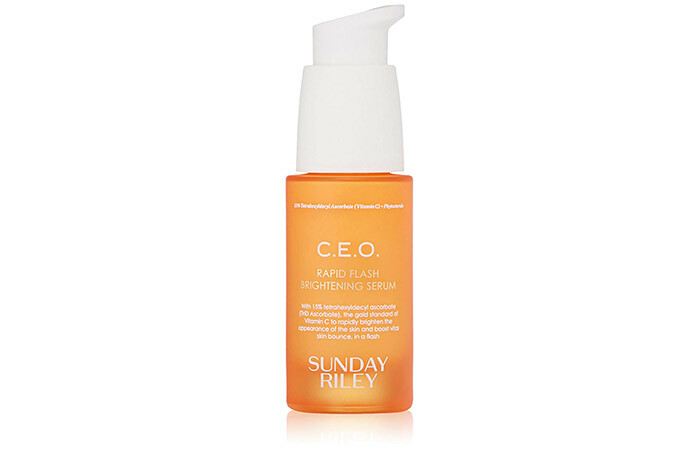 Rapid Flash Brightening Serum is infused with advanced and ultra-stable vitamin C in its gold standard form that works rapidly to reduce fine lines and discoloration and plumps up your skin. The serum also hydrates your skin and gives it a polished finish. The phytosterols in it reduce redness. The extract of saccharide isomerate reduces the size of open pores and reinforces your skin’s moisture barrier to give you radiant skin. Even if you don’t have any of the issues that vitamin C addresses yet, it is a good idea to start using products that protect your skin from potential damage. They may be slightly more expensive compared to your generic creams or serums but are definitely worth the investment. Pick your favorite from the list and let us know how it worked for you in the comments section below.